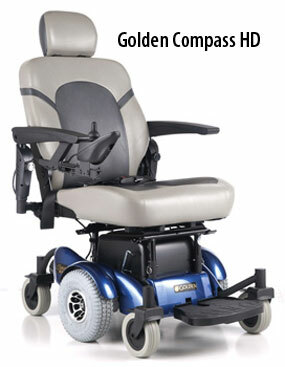 The Golden Compass HD offers you a stable, center-wheel-drive platform and an articulating chassis for stability over tough terrain. A bigger, beefier version of the popular Compass, the Compass HD has a 450 lb. weight capacity, yet a modest 20-inch turning radius.